Satin Silver Soft Flex Medium Beading Wire .019 inch Diameter 30ft. 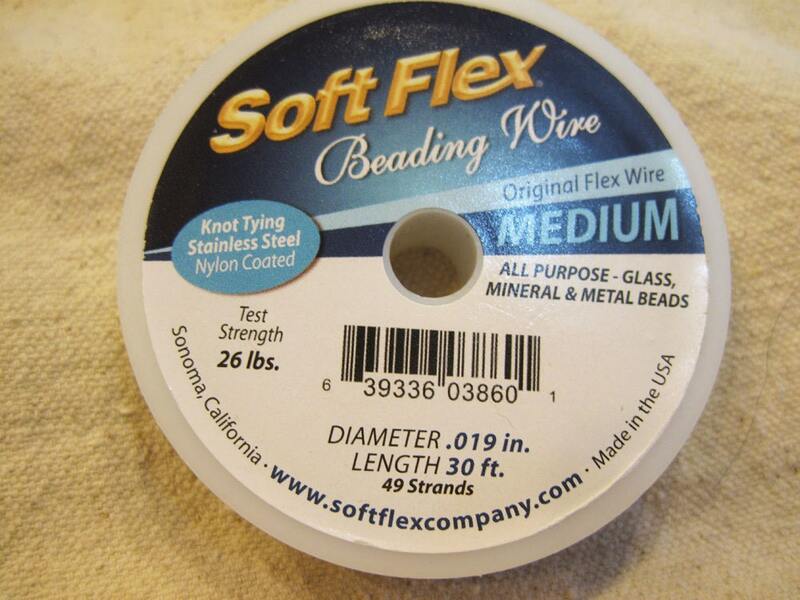 Soft Flex® Wire is a lead-free beading wire for designers that demand strength and durability. Soft Flex® Wire is a superior beading wire, created by beaders for beaders. This Soft Flex® Wire is constructed of 49 micro woven stainless steel wires. It is supple enough that it can be knotted. This listing is for one .019 diameter of Medium Satin Silver or Steel Gray color wire in a 30 ft. spool. This is the perfect wire for designers who want their pieces to last and eliminate the frustration of restringing. This weight is an ideal all purpose wire. Great with glass, mineral, and metal beads.! Made in the USA. Thanks for replacing the wire when I received the incorrect type. This is really the only beading wire I use except rare designs. ships fast and excellent quality! Super Fast delivery, Good Customer Service, pleasure doing business, trust worth.